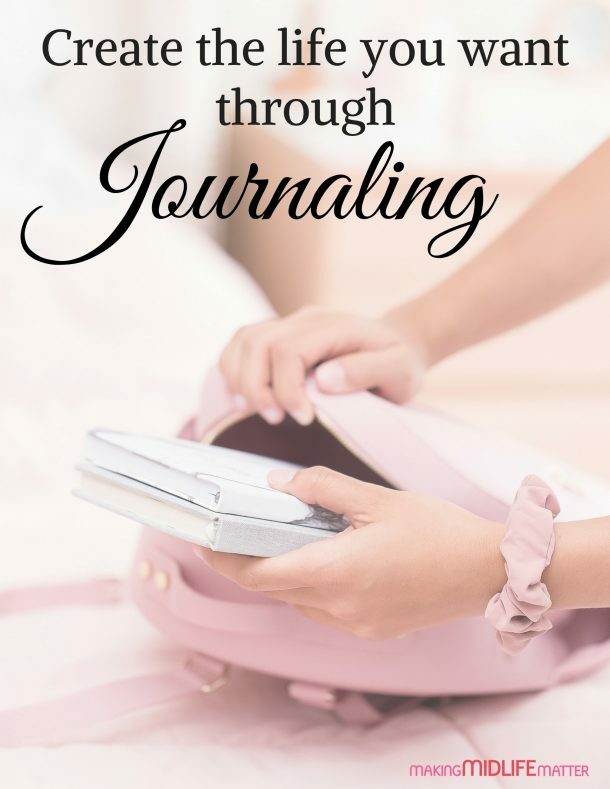 Shellie Bowdoin blogs at The Fabulous Journey. See Shellie’s complete bio and contact info below the post. Capsule wardrobes are all the rage! Stroll through Pinterest and you’re likely to find your pick of capsulized inspiration for every color palette. I never really thought much about the concept until I started to see it popping up again and again. 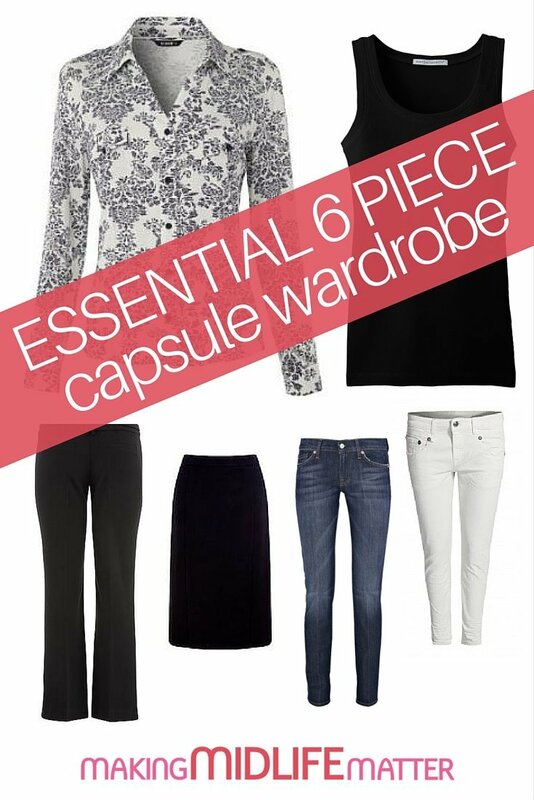 The capsule wardrobe operates on the idea that you can create an endless array of looks built from a unified collection of foundation pieces. 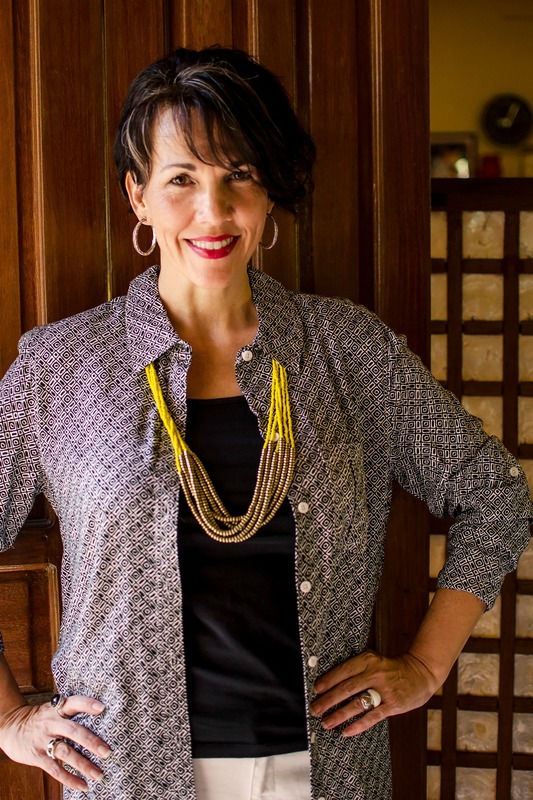 This concept is especially useful for the woman who finds herself in a rut of purchasing only completed, stylized outfits and then feels stunted because she’s only confident to wear the one outfit, one way. I intentionally chose these items because I feel they are essential foundation pieces for every woman’s wardrobe. Need help selecting the right shoes to go with your capsule wardrobe? Check out this post to find the flats that go with everything. The neutral color scheme makes it easy to mix and match these 6 pieces. Accessories are the easiest way to experiment with color and pattern. Notice how the jewelry and accessories easily change the mood of an outfit. The looks can be easily adapted. For instance, add a bold-colored cropped sweater or tank to this outfit for more pop. 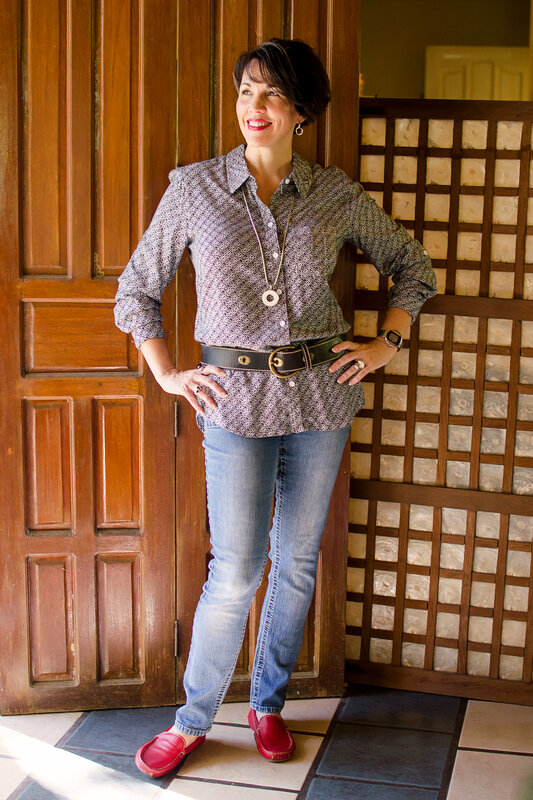 Add a belt for a more tailored look or give your outfit zip with a colored belt and jewelry. Easily transition your look from the office to a night on the town by changing your accessories. Mixing and matching does not have to be scary. If you start out with this 6 piece capsule of foundation pieces, you can then begin branching out to find newer, bolder pieces to add to your wardrobe while following a basic style formula. Not sure about embracing this minimalist lifestyle wardrobe yet? See if these reasons will convince you to start a capsule wardrobe. As your confidence grows, try experimenting by adding a skirt or blouse in a different shape to see if it works for you. Before long you will develop an increased confidence to buy single items instead of sticking only to the mannequin.